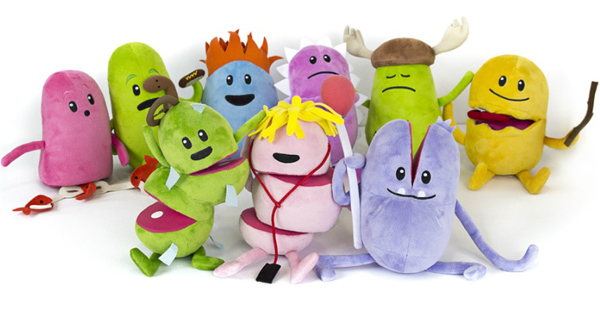 Dumb Ways To Die battered characters get soft & cuddly! Battered and maimed characters as bedtime cuddle toys for kids? You bet! If these characters look familiar, you must have heard the annoyingly catchy tune of the Dumb Ways To Die rail safety message tune created by Metro Trains. For those completely unaware, take a few minutes to watch the video below (and prepare to be humming the tune for a while after!). The Dumb Ways To Die ad is a successful mix of both adorable and ghastly, combined with a melodic tune. The video went viral, so it’s only natural people want to get their hands on some associated merchandise. With this in mind, Metro plan for Dumb Ways To Die cartoon characters to become soft and cuddly plush toys, reiterating their safety campaign in homes around the world. Hitting toy shelves globally shortly, Dumb Ways To Die toys range are rumoured to range in size from small to ridiculously huge, with a price range from $5.99 to $99.99. Though not yet available, we’ll be sure to let you know where you can get your hands on them locally.